Lydia Ko is the number one ranked player in the world at just 18 yea rs of age. She’s ranked number one in the Race to the CME Globe and she has racked up 7 LPGA Tour victories so far in her fledgling career. She seems to have a very even keel way about her from tee to green and appears to just go with the flow each and every round. Interestingly enough, she was recently quoted as saying that she does get nervous, even when playing a round with club members. It’s obvious she has game, but it’s nice to hear that she gets nervous too! We all think that the tour players have ice in their veins and they play with nerves of steel. You never see them “sweating it out” or doing any deep breathing exercises on the tee, certainly not while watching it on a telecast. Trust me, everyone has some amount of nerves when the pressure is on or it’s the first tee shot of the round. There’s a common saying out there that having butterflies is not a bad thing…as long as they’re all flying in the same direction! So how do you get them to fly in the same direction? One of the things Lydia commented on was “keeping to her game plan.” This, along with a very solid pre-shot routine, will help calm the nerves. You can start to gain better control over your nerves by incorporating a solid, repeatable pre-shot routine to your shot making. Often times what I hear from new golfers is that they feel they’re not good enough to do a routine. They’re afraid that by doing a pre-shot routine, they’ll give the impression that they are better than they really are. When I hear this, I am reminded of the time a friend and I were paired up with two men at a public course in upstate New York. I can’t remember the course, but I absolutely remember one of the gentleman we played with. He was a charming and very engaging fellow in his mid-forties playing with his good friend that day. It was a fairly busy day so we had to go as a foursome. My friend was a new golfer so we were going to play together from the same tees that day, the guys were playing from tees just a bit further back. We introduced ourselves to one another, made small talk on the tee then we were signaled to go. To paint the picture…the charming fellow we’ll call Tony was dressed to the nines! He looked like he had just walked out of a GQ Magazine that was the “stylish golf clothing” issue. He had shoes to match the outfit, a Greg Norman style hat, new bag with his name on it…the works! He looked like a former tour player for sure! Now etiquette would warrant that the furthest from the hole play first, but the charming man from NY insisted we have the honors of the first tee. It was about a 15 yard difference from the tee markers so we were happy to stroll up to the tee and fire away. The walk was helpful in allowing time for the butterflies to get together in formation and to take some nice deep breaths for the tee shots. My friend did her pre-shot routine and hit a decent shot off the tee. Now, just like everyone, I too get nervous on the first tee and am very happy to breathe and settle in to my pre-shot routine. A good tee shot off and we both stroll back to Tony, who because of his GQ style and confident presence, we believe is going shoot 68 today and consider going back out on tour! Of course Tony insists that his friend go first…obviously saving the best for last! His friend hits a good one down the middle. Tony gets up on the tee…puts the tee in the ground and does a “tour perfect” pre-shot routine. A final glance down the fairway eyeing his target and he’s ready to swing. Tony pulls the club back, stops at the top and proceeded to almost swing out of his shoes! Luckily, his club just nicked the ball enough to send it rolling past tee box, over the cart path and into the rough. Tony, still holding his finish, turns his head toward us and said, “but don’t I look good?” “You thought I was going bomb it down there, didn’t you?” He went on to tell us how he was brand new at golf but he was going to look like he new what he was doing. He was taking lessons and he loved it and he had a fantastic pre-shot routine. He did say that it was his favorite part! I’ll never forget that round of golf and meeting Tony the GQ beginner from NY. He had a great attitude and had fun when he played. I’m sure after all these years he’s not only a better golfer, but he is wearing the golf trends of today! Although I’m not sure I can see him wearing Ricky Fowler orange and a flat billed hat. Click Here for a plan to create your pre-shot routine! We have survived a record-breaking winter and have finally stopped shoveling snow. Now it’s time to shovel some mulch and we are very happy to do so! Why? 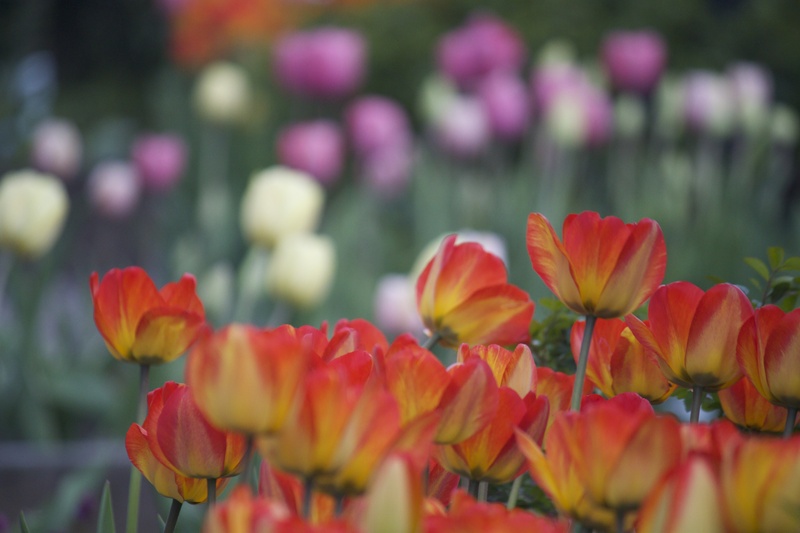 Because mulch equals Spring which equals golf courses are open and ready for play! In order to welcome in the long awaited golf season, I thought I would share a piece I wrote a while back on setting goals for the season. Enjoy the read! When I get together with my students at the start of the season, one of the first questions I ask besides, “What do you think of this weather?” is “what would you like to achieve this season?” The conversation usually unfolds with a reflection of the previous year, the goals that were set, what went well, what could have gone better, if the goals were met or surpassed and how we can springboard from the success’ of the previous year and continue the trend of whole game improvement. Once we know the game plan, we’re ready to go! Goal setting is a key component to framing your season and getting started on the right foot. It takes some thought and it also requires honest consideration of the amount of time you have to spend on your game for both practice and play. This leads me to a follow-up question to goal setting, “how much time do you have to spend on golf and how does golf fit into your life?” This is an interesting question and I think at times, a tough one to answer, but it helps us set goals that are both realistic and achievable. I’m a firm believer of realistic goal setting with the caveat that we can always raise the bar during the process! Realistic goal setting is important for success and achieving your goals is based on the time and effort you have to give. Imagine if the response to the question went something like this, “I love the game, I love to play, and I work crazy hours and only get to play on the weekends and the occasional 9 holes after work. I don’t have time to practice because I’d rather play…I want to go from a 32 handicap to a 20 this year..oh, and I’m playing in a big company event soon..” This is a very busy person who obviously loves the game and wants to improve but has set a very lofty goal. Considering the time they have available for golf, reframing their goal is key to helping them improve and enjoy the game even more. What do you want golf to be for you? It’s worth taking some time to consider what you want to achieve for the season, where you see your golf game going and how you plan to get there. Do your best to be as honest as you can with yourself regarding the time you’re willing to spend practicing golf, getting lessons and working on your goal. Golf is a fantastic game and everyone at every skill level can improve and play better. If you have a specific goal in mind, you can achieve it with a good plan. Whatever you do and however you do it, you want to have fun and enjoy the process. Isn’t that what life is all about any way? So, set some goals for the season and enjoy the journey! When there are tournaments happening around the world and there’s great golf to watch on The Golf Channel, I always look for something in which golfers can relate. This weekend had lots to offer! My twitter feed was buzzing during and after the Waste Management Phoenix Open. If you watched any golf this past weekend and you are on any form of social media, then you know that the “Trend de La Trend” was all about Tiger. The much-anticipated return of the former number one player in the world had everyone expecting to see the Tiger of old. The talk on the street was that all was going as planned with his swing and he was excited to get back into the ring. So of course, the expectations were of better tee shots, more greens in regulation and if not, there’s the extraordinary short game that Tiger was known for. That was the talk anyway. Then the tournament began and Tiger had trouble right from the start. He pulled it together to post a 73 on the first day, but disaster struck on the second and final day of his tournament debut. Six bogeys, 2 double bogeys and a triple bogey marred his scorecard. Where he use to get up and down with ease, he instead launched balls over greens and had low running chips screaming past the hole. His game was out of sorts and some analysts even ventured to say it was “lost.” I have to say, I don’t believe he’s lost or that he’ll never be back at the top of his game. I believe he’ll find his way back to better play, it’ll just take a little more time. Haven’t we all been here before? I know I have. I can remember it like it was yesterday and it was a long time ago! I had started working with a new instructor about 2 months prior to a tournament. We had made a few tweaks to my swing in order to give me better ball control off the tee and to improve my overall delivery of the club head at impact. These were great changes for the long-term and would definitely help me hit more fairways and greens. At the time, my goal was to play on the LPGA Tour so long-term gains were key. I was a dedicated practicer and things were coming along rather quickly. I was seeing my teacher, George Kelnhofer, every week and we were making great strides. I had signed up for an event a few months before and although we were working on some changes, the thought of canceling was totally out of the question. I was going! Things were going so well at the range, why wouldn’t I go? It was going to be awesome! I might even win the thing! Like Tiger prior to the WM Phoenix Open, I had hit a gazillion golf balls and had spent hours working on it at the range. I mixed in 9 and 18 hole rounds here and there but most of my time was dedicated to working on the swing. The swing felt great. I was crushing it on the range and the practice round I had played a week before the event went pretty well. 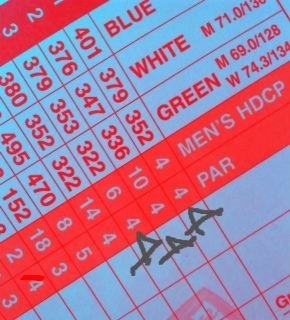 I marked up my yardage book, took notes on target lines, marked up the details for the greens…I was ready to go low! Then I stepped up on the first tee the day of the event. With my pre-shot routine in tact, I eyed my target, stepped up to the ball and proceeded to launch a bomb of a drive that after about 150 yards, curved wildly left into someplace other than the center of the fairway. I was shocked! How could this be? I punched out for the second shot, missed the green for the third, did something else for the fourth and finally walked off with a double bogey. The next few holes weren’t much better. I was spraying it everywhere. By the time I arrived on the fifth tee box, I was shaken to the core. Nothing was working. I thought, “This is insane! I had been hitting it great for the past few weeks…how is this possible?” I tried to think about the things we had worked in hopes that somehow it would right the ship. It didn’t. It felt like the ship was taking on water and on the verge of sinking! On that particular day, my putting and short game kept the whole thing from going under. When I saw George a few days later he was surprised I had gone ahead and played. He knew I hadn’t had enough “play” time with the new changes in place. 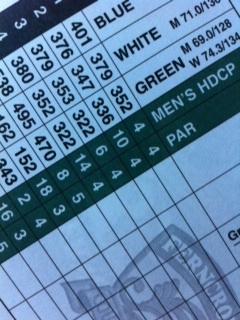 It was clear that we were headed in the right direction with my swing changes given my driving range results. I just hadn’t had enough time on the course in a “real game” environment for the changes to hold up as they weren’t fully engrained enough to do so. In my opinion, this is where Tiger is right now. He’s had success in practice, believes in his coach and the changes they are making but hasn’t spent enough time in a competitive environment for his new skills to hold up. It’s just a matter of time before they do. If there is a takeaway here it’s the importance of incorporating pressure and stress more successfully while practicing. The practice and play environments have to sync up in order for the brain to associate good shots with the new technique. The more you practice like you play, the better you get at playing the game of golf. I’d like to thank Tiger and the social media trend for the topic and the walk down memory lane! If there weren’t so much snow on the ground, I’d go to the range right now, get a small bucket and picture that first hole once again…then I’d crush a drive right down the center of it! #practicelikeyouplay! It’s that time of year where I head down to Orlando to the PGA Show. 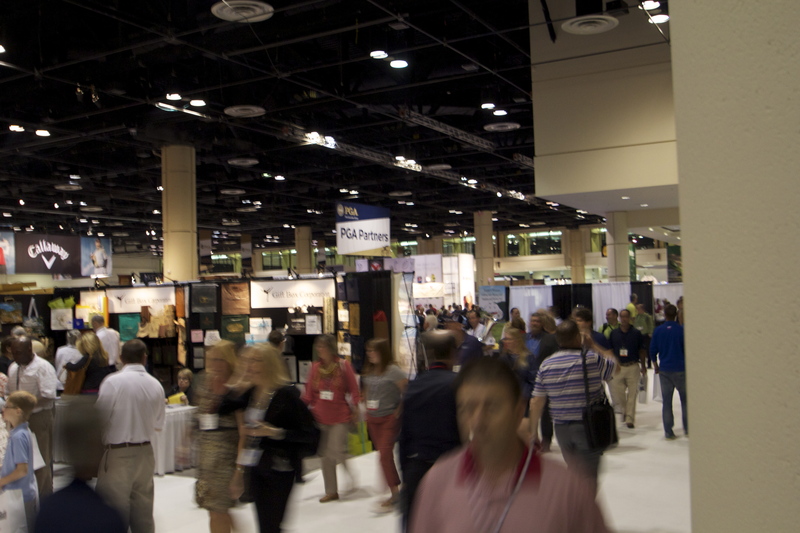 The trade show where anything and everything golf is under one roof. It’s a place where I’ll spend a little time both as a student, attending educational seminars and as a player, when I sneak in a round or two at some of my favorite courses! I love going to “The Show.” Not only do I come back with interesting ideas and perhaps some cool new technology, but it also means we’re only 12 weeks away from a tee time here in New England!! Wahoo! Twelve weeks certainly sounds a lot better than three months that’s for sure! I know many of you are hitting the slopes or strapping on skates and heading to rinks. A good way to keep in shape over the winter months. Some of you will be traveling to someplace sunny and warm with a plan to get in a few rounds golf. That’s a fantastic plan I must say! Well as you head down south or out west, remember that your game is in its semi-hibernation stage. It’s been resting, relaxing and enjoying a change of scenery and temperature. So when you head out for the first day on the links, be sure to be very very kind to yourself. If it’s been a couple of months since you’ve picked up a club, be sure to stretch and warm up before your round. If you and your friends make a bee line for the driving range, start with some short irons and pitch shots. This will give you and your body a nice reintroduction to what you’re about to do. Focus mostly on your posture, balance and tempo. When you’ve found your golf posture and sense of swing with the pitch shots, move to a nine or eight iron and make some smooth balanced swings. Get into a great finish and hold it a few extra seconds. Feel your balance and posture there and reconnect with it. Move through a few more clubs to the driver. The most important thing to do when you’re heading off to the first tee (after your relaxing and successful warm up session) is to reframe your expectations regarding performance. Enjoy the warm weather and the fact that you’re free to move around! You’re not wearing eight thousand layers of clothing just to keep your teeth from chattering away. You’re out in the sun! And yes, the sun is actually out!! Remember, you’ve been doing holiday things, cold weather things and maybe taking a swing or two at an indoor range. You’re regular golf routine has been on the back burner. So whatever happens…happens. Be your own best friend and say encouraging things to yourself when the ball doesn’t go exactly as planned. 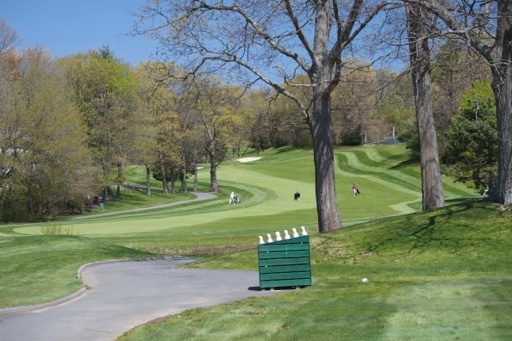 Spend some time thinking about what you’d like to get accomplished for the 2015 golf season while you’re riding down the cart path to the next tee. And without a doubt, enjoy all the good shots you make. Now for those shots that are, shall we say…”meh”…chalk it up to off-season rust…it’ll shake off for sure, especially if you have a few more tee times scheduled while you’re away! You play great with your friends on the weekend, yet when the club championship rolls around your score seems to sky-rocket higher than a NASA shuttle. Does this sound like you? When the round of golf you are about to play suddenly means something, your nerves get jumpy and your tension increases ten fold. You’ve played the opening hole at your club a million times. Up to the tee box you go, driver in hand and you hit your first tee shot in a place you’ve never been before! You chunk your second shot because you’re trying to make up for a very short and very wayward tee shot. Now, you finally hit a pretty good shot up the fairway but you are still 40 yards away from the green. Wanting to pitch it really close, you jump on it a bit, hit it a little thin and it goes racing to the back of the green. Three putts later, you head to the second tee thanking the golf gods that the first hole is finally over! If this sounds like you or one of your golfing friends, you are not alone. We’ve all been there. I remember back in my mini-tour days, my golf coach telling me that under the stress of competition, I could easily shoot a score 4-6 shots higher than my “weekend” average. Do you find this to be true? Is it more than 6 shots? I can say that in the beginning of my mini-tour days, the 4-6 shot addition was very true! So what changes when you show up on the first day of a club championship, local amateur event or even the tryouts for the golf team? Do your skills change? Do you lose your swing? The answer is No. 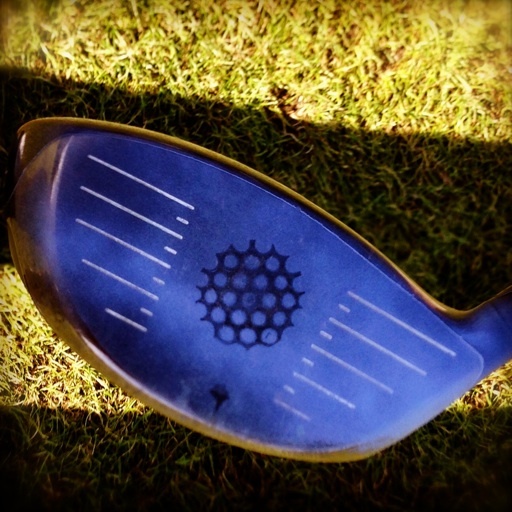 Your skills are there and your swing is never lost. There is an ancient Chinese proverb from the book, The Way of Chuang Tzu by Thomas Merton that sums it up rather nicely. If he shoots for a prize of gold, he goes blind, or sees two targets – He is out of his mind! Drains him of his power. We’ve all experienced this very thing. We suddenly care about the outcome and then get focused on just that. How often have you tripled the first hole only to say to yourself, “good…I’m glad THAT’S out of the way!” Now I can relax and play. We’ve all been to these stressful places and in some cases performed well and in others, not so much. I grew up playing a lot of sports and softball was a big one. I was selected to be on a traveling team and we were invited to play in competitions everywhere in the state. So that meant a lot of practices! We would work on practicing our skills, catching fly balls in the outfield, ground balls on the infield, batting and running plays. Then we would scrimmage. We would practice the art of playing the game. Skill building time was over, it was time to PLAY THE GAME! I remember all too well my father saying to me, ” you do in a practice, what you do in a game.” That was code for, play the scrimmage like it’s a real game that means something, otherwise if you play like it’s just a casual practice, then that’s how you’ll perform during the REAL game. That is how I remember practicing softball…and it was fun! How does this relate to golf? When you decide you’re going to play in a competitive event, you have to practice “playing” in a similar environment. You have to practice playing under pressure and in an environment that more closely resembles competition. Here are a few ways to do just that for both the driving range when you’re practicing skill development and the course when practicing the art of competitive play. On the range, after you’ve warmed up pick specific targets and hit shots to that target. Create a point system for success. With your irons, if your ball lands and stays on your target, give yourself a point. 3 shots for each target then move on to another target with a different club. Change targets and clubs at least 4 times. Feel free to do more if you are so inclined. With the driver, pick a landing area and boundaries both on the right and left side of your intended target. If it stays in the boundary, give yourself a point. If it hits your target, give yourself 2 points. Again, 3 shots to the target, then change targets. Create your own “Range Game” scenario and keep some of your stats. You can gauge your improvement once you have a baseline. 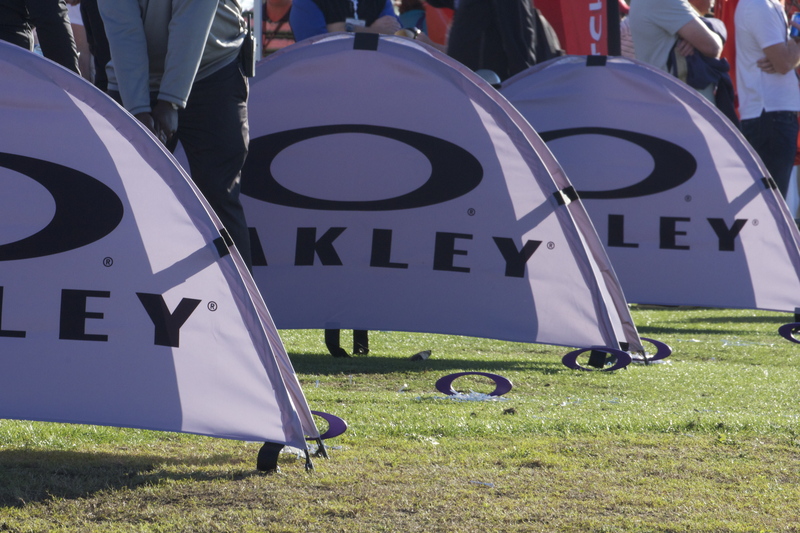 On the course, create a different environment that is a little out of your weekend comfort zone. Play with people you don’t know. Play with better players. Create your own personal goal for the round and stay focused on achieving it. If you’re playing with friends, play for a friendly wager…and that could be who buys the bagels and coffee at the end of the round. Practicing is key, both in skill development AND play development. Remember, golf is a GAME that is PLAYED on the course. In competition, it’s about playing with what you have for the day and then doing your best to get the ball in the hole in the fewest number of strokes. So next time you’re out on the range for a bit of practice or heading for the tee with your weekend regulars, “do in practice what you do in a game” and conjure up a competitive environment, you’ll be glad you did.